Today we discuss the advantage of Deep Brain Stimulation surgery. 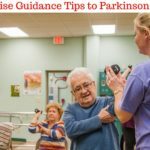 Deep brain stimulation surgery inactivates parts of the brain that are known to cause Parkinson’s disease, without actually destroying any part of the brain. This procedure involves the placement of electrodes connected by wires to a pacemaker device. This device is also called an impulse generator. This device is placed under the skin of the chest and below the collarbone. 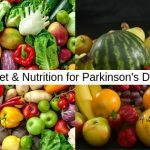 Continuous electrical pulses are sent to the target area in the brain, thus blocking the pulses causing the tremors. It gives the same results as surgery would, but does not destroy any parts of the brain. A computer sends signals to the impulse generator and hence it can be programmed to function as per the doctor’s instructions. The impulse generator can be turned on and off externally with the help of special magnets. Firstly, the areas of the brain – or the target areas must be defined. These can be located with the help of MRI or Computed Tomography (CT). Sometimes microelectrode recording is also used for this purpose. Once the location is identified, the electrodes are placed and the incisions are closed with sutures. The impulse generator is then placed in the chest and the electrodes are connected to it with wires. It takes a few weeks to adjust the stimulation which is enough for the patient to experience symptom relief. The complications involved in this procedure are few because there is no destruction of any part of the brain. 2. The electrical stimulation is adjustable as per the patient’s requirements. If the patient responds positively to medications, the impulse can be reduced. There is no further surgery involved in making any kind of adjustments. 3. Destructive treatments such as surgeries could reduce a person’s potential for future treatment options. 4. Deep Brain Stimulation is a relatively safe option compared to surgery. 5. 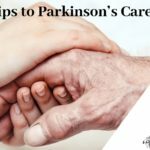 All the major symptoms of Parkinson’s disease, tremor, movement disorder can be minimized. 6. The simulator can be turned off at any time. 7. Routine life of the patient is greatly improved and dependency is reduced. To know more, read. 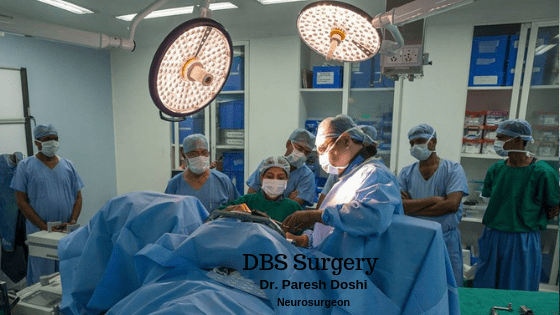 How DBS Surgery improves Depression? However, there are some concerns from patients about a few risks involved. Especially the risk of infection. Well, if any foreign object is implanted in our body, that risk is always there. If the equipment stops working and needs a battery replacement, additional surgery may be required. 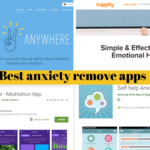 Like any other treatment, there are certain risks involved too, like changes in thinking and memory; sometimes there are changes in personality too. You will need to immediately talk to your doctor if you notice any such after effects before they aggravate. It is also a known fact that over 70% of those who have undergone deep brain stimulation surgery, say that they experienced great improvement in their conditions. The medications can then be reduced. Once the patient has enough trials with medications and other forms of treatment, Deep Brain Stimulation is considered as a great option to restore the normal life of the patient. The other diseases that are amenable to deep brains stimulation are Depression, Obsessive-compulsive disorders, epilepsy etc. 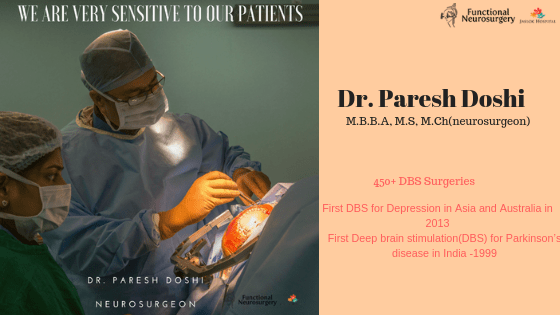 Dr. Paresh K. Doshi has been the pioneer of deep brains stimulation surgery in India. He has an experience of over 400 DBS surgery. The DBS cost at the Jaslok hospital and research center is the lowest in India. Looking for an appointment. 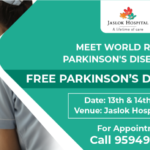 Very simple way to get an appointment for Dr. Paresh Doshi. Click here.